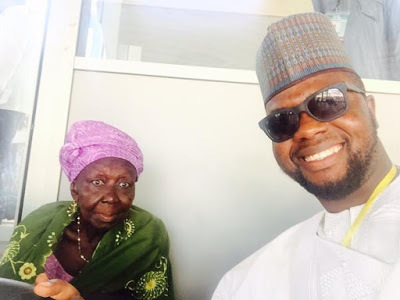 90 year old Hajia Fadimatu Mai Talle Tara donated her savings of 1 million Naira to President Muhammdau Buhari’s campaign. At his inauguration, Hajia Fadimatu was seated in the VIP Box. She is pictured below with Media Entrepreneur/Future Awards co-founder, Adebola Williams.